A little skittish to leave your expensive Amazon order on your front door step? Maybe want to keep that Christmas present a little more secretive? 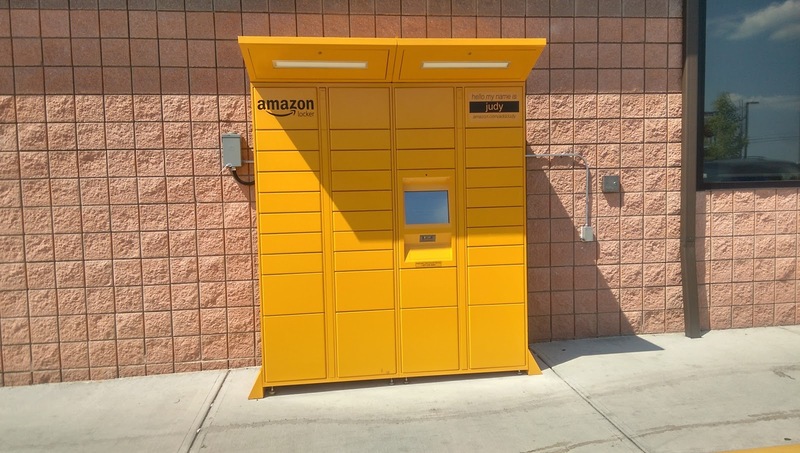 If you're lucky enough to have an Amazon Locker, a secure, self-service delivery option, near you, it's your lucky day. And it comes at no extra cost. That's sort of like free (I love free). The one pictured below, named Judy, is located at the Speedway gas station across from the Dayton Mall on State Route 741, only one of two in the greater Dayton, Ohio area. And a mile from work. Sweetness.